Today ONLY - Save 25% on Select Candy for Halloween $7.46 - $30.09. 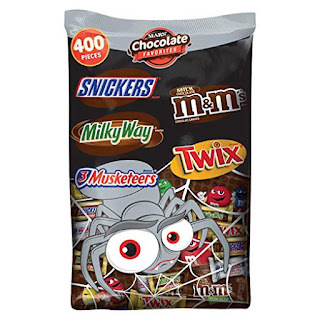 So what this price looks like - MARS Chocolate Halloween Candy Variety Mix 126.3-Ounce 400-Piece Bag $17.98 - which is $23.98 at Walmart. Snag your favorites without having to leave home.